Cameroon's government has banned public gatherings, suspended transportation and shut businesses in the country's English-speaking regions as activists symbolically declared independence from the majority French-speaking areas. Tensions continue to run high in towns and cities in Cameroon's northwest and southwestern regions country with thousands of security forces said to be patrolling the streets in a bid to quell planned demonstrations against President Paul Biya's administration. 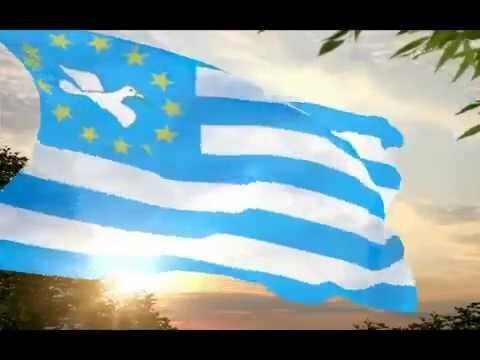 "Today, we reaffirm our autonomy over our heritage and over our territory," the Southern Cameroons Ambazonia Consortium United Front (SCACUF) said in a statement on Facebook. The government has said the move carries no legal weight. The declaration and protests come on the anniversary of South Cameroon's independence from Britian in 1961. Christopher Njong, information officer with the the governing council of Southern Cameroons, also known as Ambazonia, told Al Jazeera earlier on Sunday that people were gathering to march in the town of Bamenda, but were facing "major resistance from the army and police". "They [authorities] are doing everything to stop people from marching, because they don't want the world to see our call for independence," he said. Njong added that people were attempting to march in the towns of Buea and Kumbo with white and blue flags (the flag of the country they would name Ambazonia) and placards, but were facing similar resistance from authorities. English-speaking Cameroonians make up one-fifth of Cameroon's population of 22 million. They have long accused the central government of discriminating against their community, arguing that they are excluded from employment and forced to speak French in business and official affairs, despite English being one of the country's official languages. They also argue that oil, found in the southwestern region, has been used to the benefit of the state and not the region in which the resources are found. But the discontent goes much deeper. Southern Cameroons joined Cameroon in 1961 through a referendum, but pro-independence groups argue that UN resolution 1608 that set the terms of an unification plan was never properly followed. Additionally, in 1972, when the country moved from a federalist system to a centralised system, with power resting firmly in the capital, Yaounde, those from the Anglophone regions said they suffered further neglect. As a result, many Anglophones contend that the French-speaking majority annexed Southern Cameroon. "They have turned us into servants in our own house," Sisiku Ayuk Tabe, president of the movement for the independence of Southern Cameroons, said earlier this month. Issa Tchiroma Bakary, Cameroon's communication minister, told Al Jazeera that there would be no amputation or division of Cameroon. "This division will never happen," Bakary, speaking from Yaounde, said. In response to allegations that the central government have deployed a disproportionate number of military to the region, Bakary said that "necessary measures had been taken to look after people and property, and to ensure people are not bullied". "We deployed to prevent violence; their [the protesters] aim is to provoke violence, this is why we sent them [the army] there." The minister would not say how many troops were sent, but rejected allegations that internet services had been slowed despite numerous suggestions that people were struggling to access social media. Dissent in the two regions have been growing over the past year, with protests taking place intermittently. Six people have been killed and hundreds have been arrested and detained as the government looked to crack down on what they see as a secessionist movement. Earlier this year, the internet was shut down in the two English-speaking regions for more than three months. Many students and teachers in the two regions have also boycotted schools and banks have been closed, leaving in its wake empty towns, which activists have dubbed "ghost town" protests. Rising dissent comes as Cameroon's government faces a wave of criticism by rights groups over what they call the government's growing authoritarian tendencies. They point to the imprisonment of journalists and those who are critical of Biya or his administration. The Committee to Protect Journalists (CPJ) said in September that the government was using an anti-terror law to quell dissent. Ayuk Patrick, the secretary-general of SCACUF, a movement calling for independence for the two regions, said that people would be marching worldwide on Sunday for "the restoration of our nation state". He also denied government claims that secessionists were armed and disruptive. "Our people are being called to march peacefully. We don't have armed groups. Instead, we have a three- throng approach: First, we are litigating the regime, second, we are exercising our right to civil disobedience and the third thing is diplomacy," Patrick told Al Jazeera ahead of the planned march in Johannesburg, South Africa. "We have a right to self-defence. But we are not attacking the government."